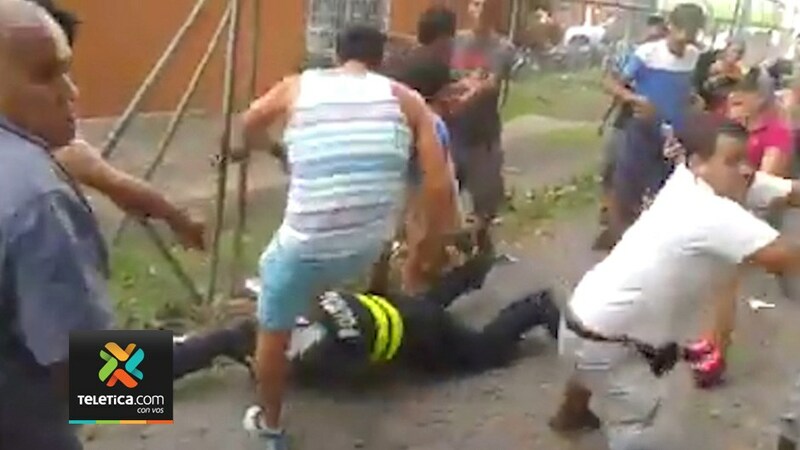 A dispute among soccer fans in the final between local teams, Florencia and El Progreso de la Tigra, in Santa Clara de Carlos, turned violent when a crowd of fans turned on two lone Fuerza Publica police officials. The incident that sent the two police officials to hospital occurred around 3:00pm outside the Santa Clara soccer field. Authorities are blaming excessive alcohol consumption on the part of some fans that led to insults and infighting, who then turned on the police officials when they tried to intervene. In seconds the confrontation between one of the troublemakers and one of the police officials escalated to a mob, turning on the officials, chasing them and kicking them as they lay helpless on the ground. In addition, the officers reported the theft of polic baton, a cell phone and a regulation gun. Only the gun was recovered. The “golpiza” (beating) of the officers ended with the intervention of some area residents to came to their aid. 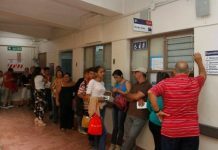 By 8:00 pm, the director of the Fuerza Publica, Juan Jose Andrade, confirmed through his Twitter account the arrest of eight suspects, related to the case. 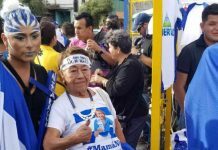 For his part, the Minister of Public Security (MSP), Gustavo Mata, said in an official statement that it is unacceptable how a mob attacked the officers. “Futbol is not for this and we will not permit it,” said the minister. Mata added that he has ordered the arrest of anyone who is identified in the videos taken of the aggression and the urgent need for more rigorous laws to sanction anyone who assaults or ends the life of a policeman. “The authority is to be respected and who does not, must receive the full weight of the law,” he concluded. Andrade made public the photographs of the attacked officers on his Twitter account and called for respect to authorities.